Diabetes Controllability Test with Sugar Knocker! Watch This Video To Understand "What is Diabetes Controllability Test & How it Can Help?" Take a FREE Test to Check The Possibility of Controlling Sugar Levels with The Help of Ayurveda. 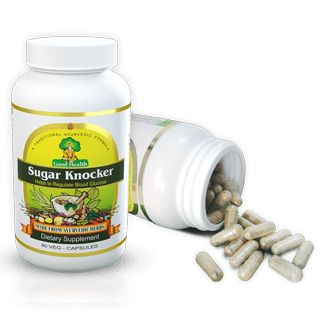 2 Minutes Test to Check the Possibility of Controlling Sugar Levels Naturally with the Help of Ayurveda. While there are numerous health issues that India is battling with, diabetes is one of the most worrying. With 72.9 million people currently living with diabetes in India. And around 47.3% of India’s 72.9 million diabetics are undiagnosed! Diabetic population in India is expected to grow up to 134.3 million by 2045. The major cause of increase in the incidence of diabetes is asedentary lifestyle. Diabetes Can Be Managed Effectively by Discovering Early Phases to Prevent Further Complications. Take Diabetes Controllability Test Now and Find How Ancient Ayurveda Can Help You to Deal with Diabetes Better. This test, in the form of a series of simple questions, have been determined to outline your current health stats to regulate sugar levels and have the capacity to deal with your diabetes better. You are almost done! Share us Your Information to Receive the Report on Your Email Address & Mobile Number! Please ensure to include a valid email address and mobile number to access your report any time! Disclaimer: This test is not intended to diagonize OR cure diabetes. This test will help you identify possibility of controlling diabetes with the help of herbal supplement.